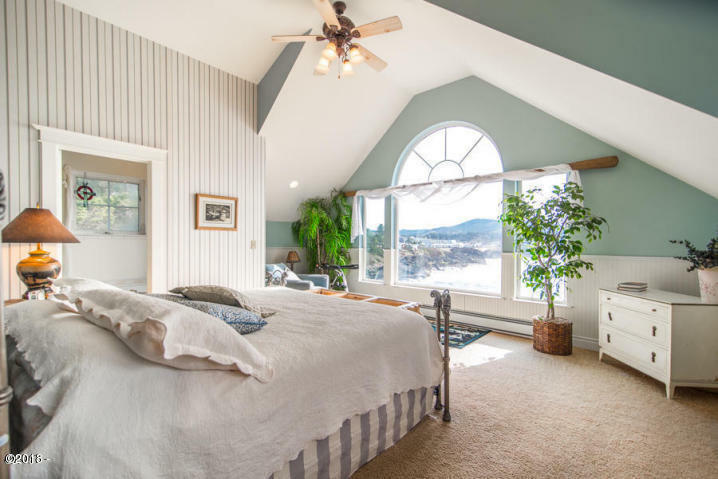 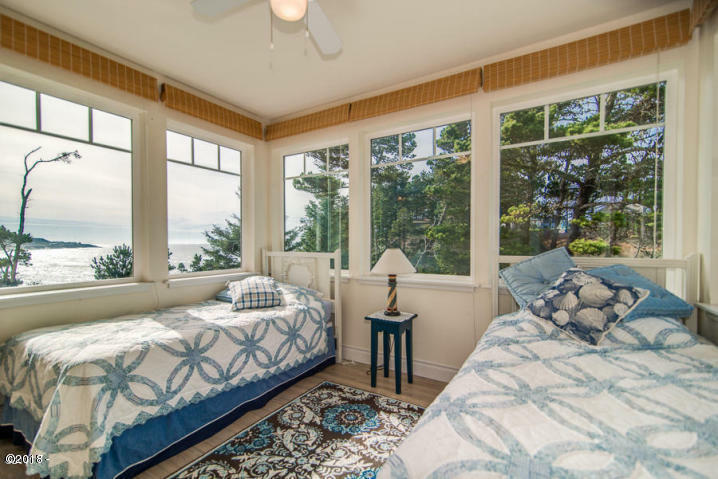 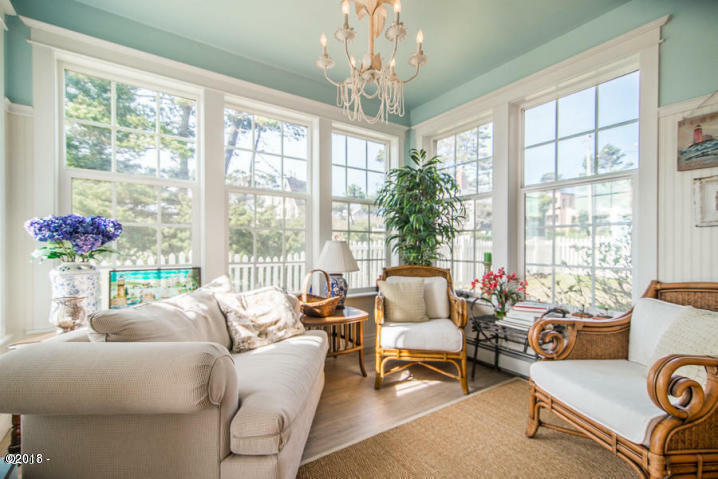 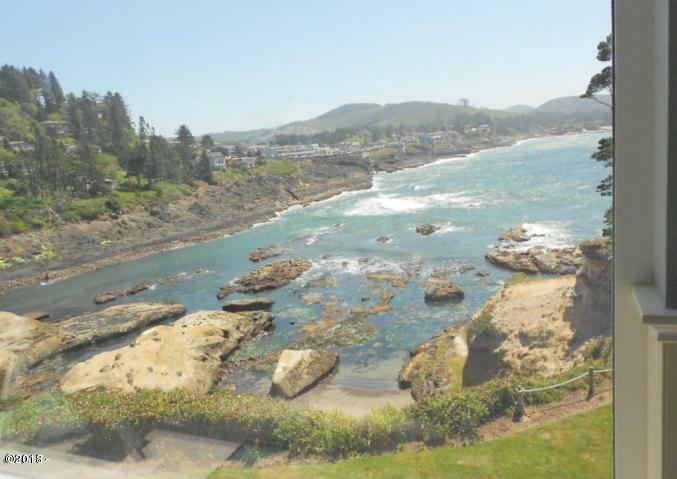 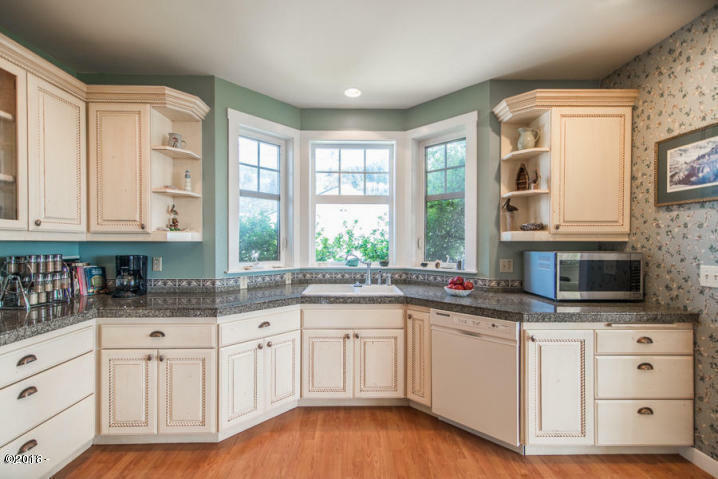 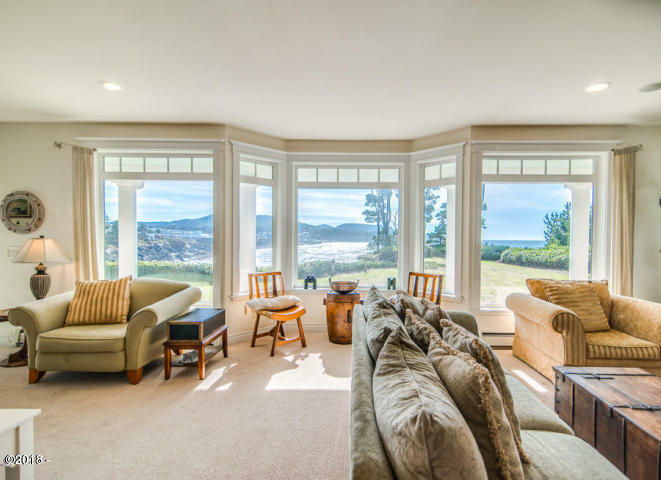 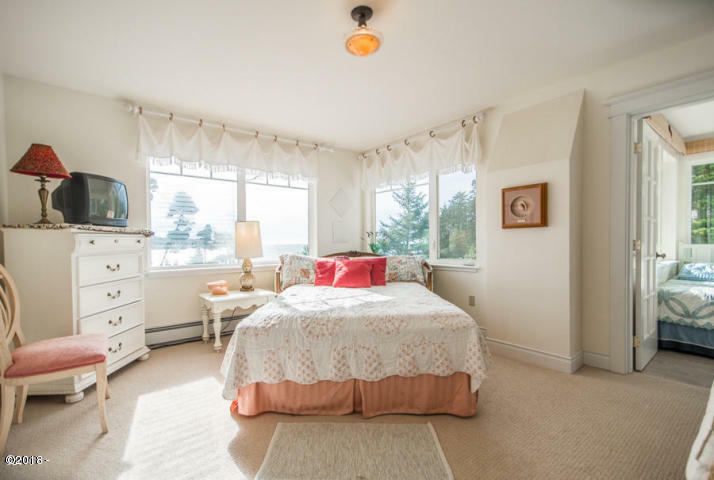 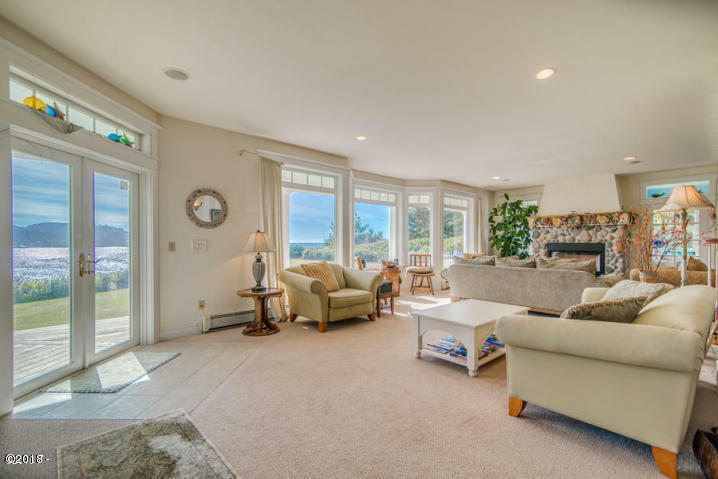 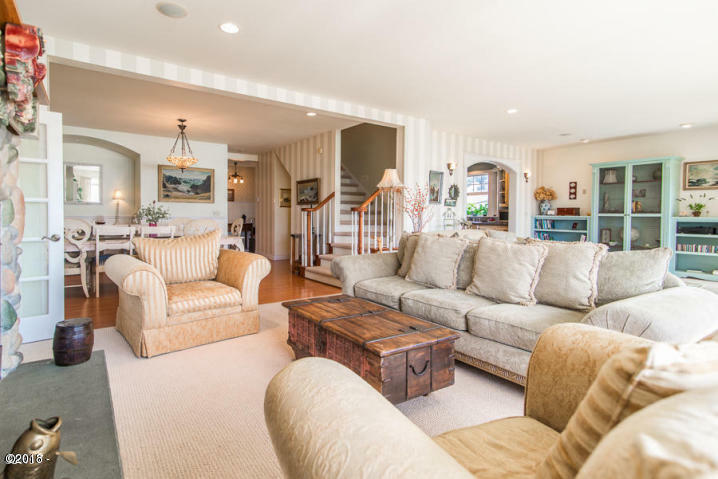 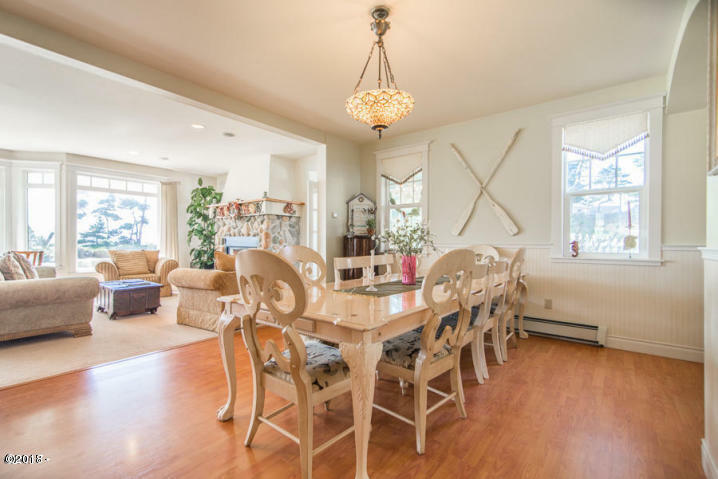 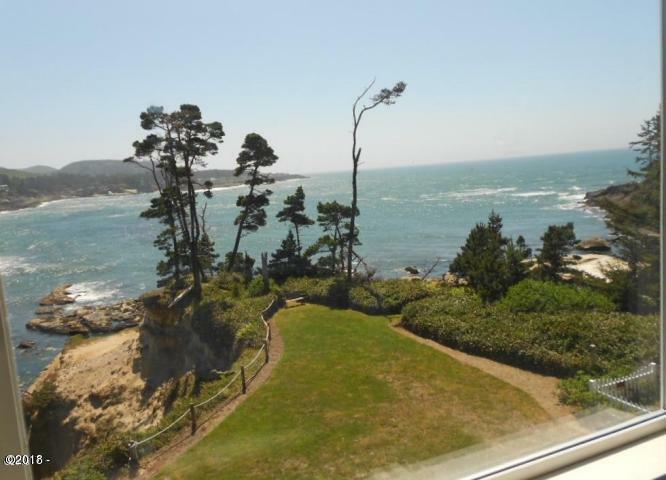 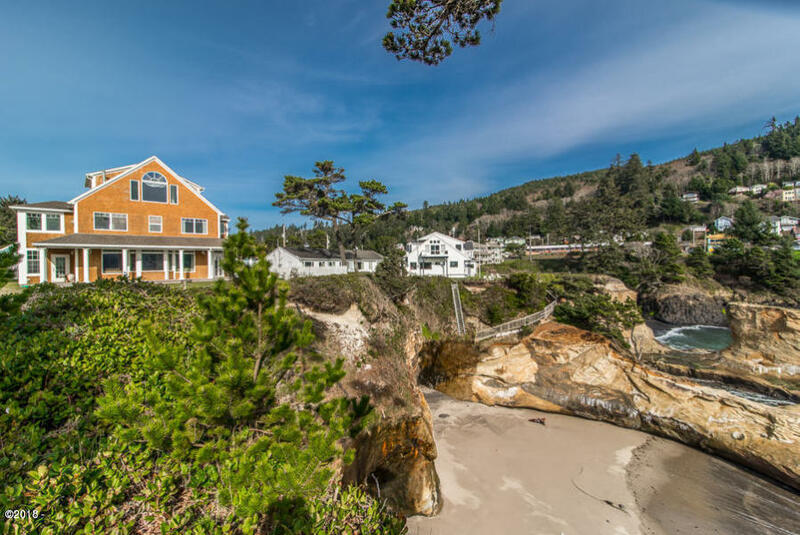 Depoe Bay ocean front home with classic shingle exterior and picture perfect setting! 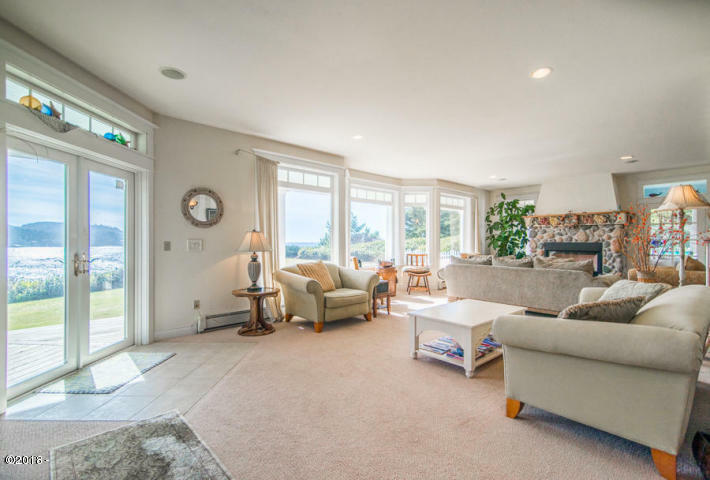 Designed with 4 bedroom suites, 6 total sleeping areas, beautiful master wing, family room with kitchenette, gourmet kitchen and fenced lawn. 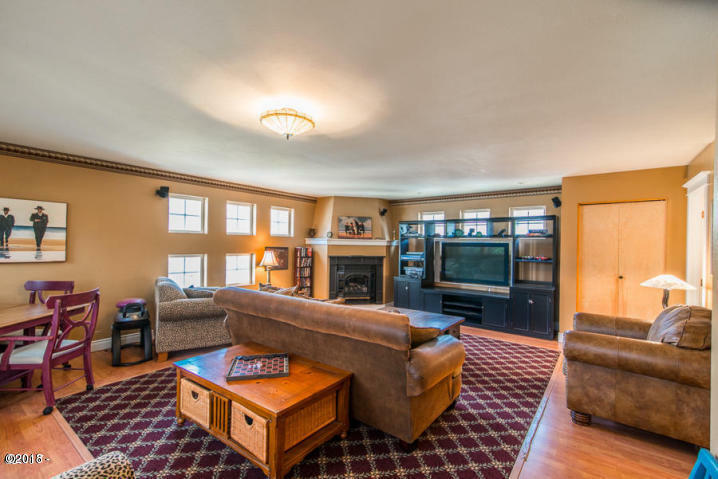 Completely furnished! 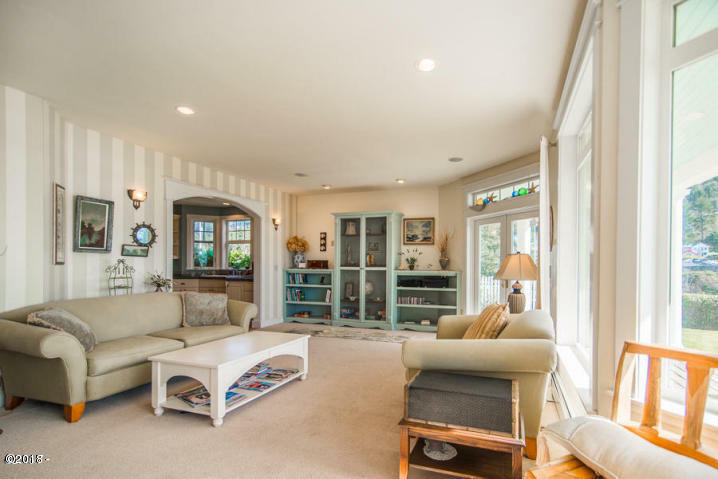 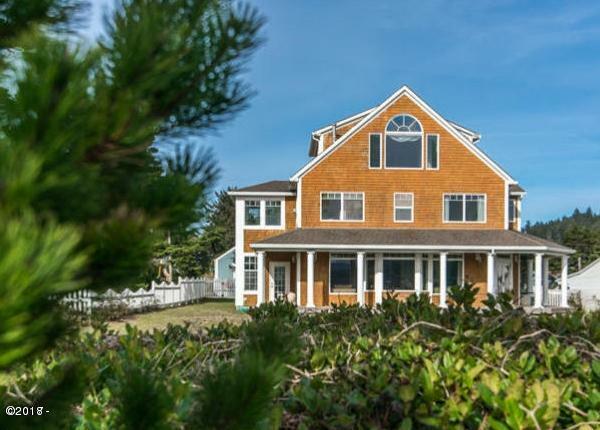 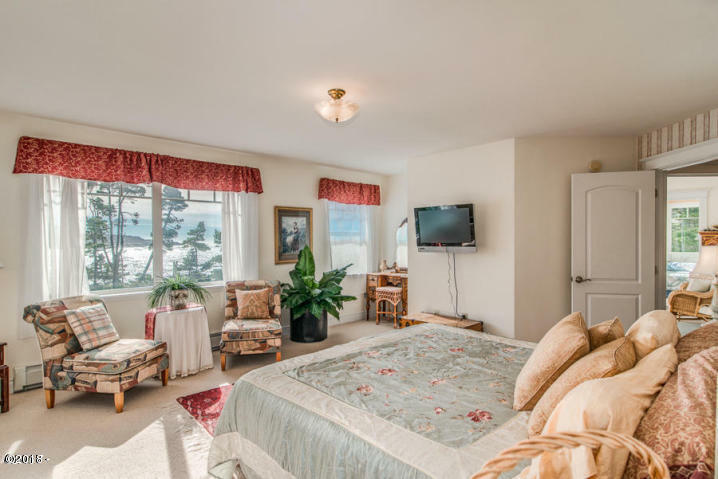 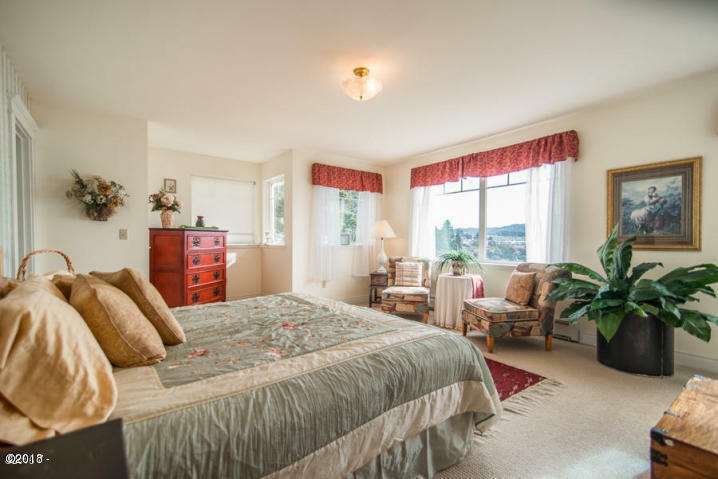 Currently used as a high end vacation rental This ''Seafront Beauty'' is a must see. 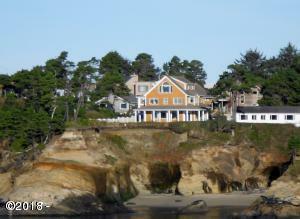 Heart of town location, amazing views of the charter boats, whales and ocean.